By hosting everything in the cloud there’s no need for expensive in-house devices, servers or networking applications, reducing costs both in the short-term and long-term – the lack of maintenance and expertise required to run such hardware means the business can concentrate on core aspects of business management, allowing staff to focus on maintaining profitability. The business can enjoy a level of control whilst leaving the details in the hands of the experts. The whole concept of cloud computing is highly scalable so it can easily adapt to changing business needs. It’s important to have an IT support service on-hand to deliver the level of expertise and innovation to take things to the next level. DataSys has a wealth of experience in the field of hosted services and cloud computing as a whole, and is fully-equipped with the hardware required to host all services and resources necessary. DataSys can devise targeted strategies that meet individual business requirements in order to boost performance, increase visibility and deliver measurable value to the company, offering tangible avenues for growth with a fully-managed, effective solution. This way of operating is efficient, scalable, flexible and highly cost-effective, giving businesses the power to move forwards without excess costs. It’s about delivering the tools businesses needed to work smarter, stronger and faster, and DataSys has those tools to provide the hosted services, data backup, email hosting, hardware supply and technical support needed in such environments. Problems with downtime, maintenance, security, bandwidth and funding means a lot of companies look to external solutions, and that’s where cloud web hosting comes in. 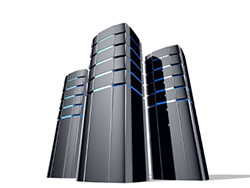 DataSys can offer a range of hosting requirements on various platforms to your requirements. 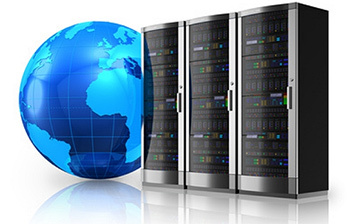 We can build a bespoke environment to suit your plans and offer 100% uptime due to dedicated virtual servers for maximum high availability. For businesses that have additional resources or require more from their cloud web hosting solution, there’s the option to upgrade from shared hosting to a fully managed, dedicated service. This gives a business their own cloud environment for a high level of control and full customisation capabilities, allowing the solution to be devised according to individual business needs, offering a high level of scalability and total control over resources. Currently these solutions are only available for Linux or Windows OS, but they’re ideal for SMEs that run such systems and who are looking for maximum availability, high performance solutions at minimal cost. Please contact us to find out more about pricing and options. Companies looking to take advantage of Microsoft applications whilst having a fully hosted, secure email solution need look no further – hosted Microsoft Exchange is the clear choice. This cost-effective email provider has all the functionality of traditional Microsoft Exchange without the administrative weight, putting reliability as well as security first. Microsoft Exchange already boasts a high level of functionality with enhanced messaging solutions and a range of business-led applications, but by upgrading to a managed solution you can look forward to increased collaboration, security and mobility too. 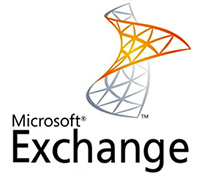 With Microsoft Managed Exchange 2010 as the mail server and Outlook as the email client personnel can not only send and receive emails but can share contacts, folders and calendars, and with access from any device it allows total connectivity at all times. DataSys has partnered with leading VoIP providers to offer you fully comprehensive cloud-based VOIP telephone systems, which run via your existing broadband. With a VoIP solution from DataSys your business benefits from free office-to-office calls, flexible call routing and savings in both line rental and call costs. It’s very easy to get started with VoIP and your business phone line system will be scaleable, meaning it can be expanded as your business grows plus your phone lines are exceptionally easy to manage. All support and maintenance is provided off site by our skilled engineers. 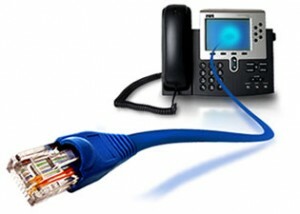 Only equipment necessary on-site are the telephone handsets.